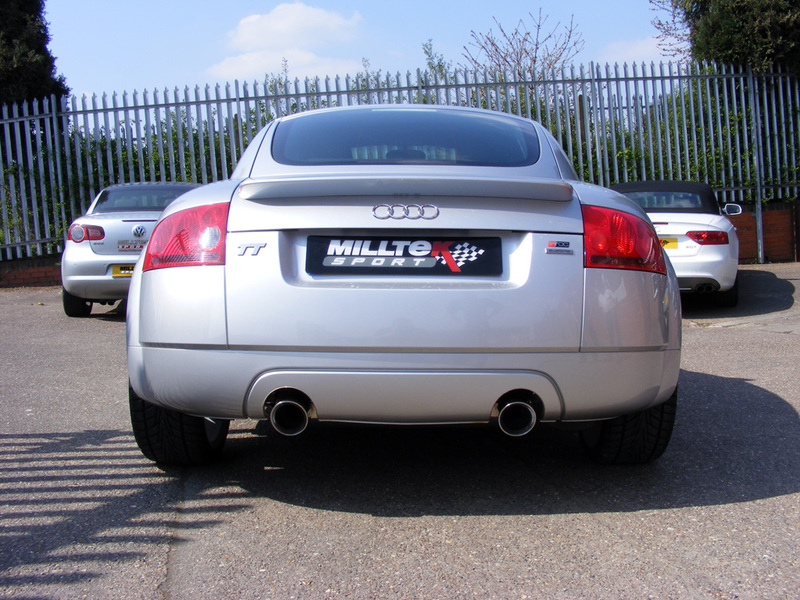 Go for a Milltek exhaust for a cheap insurance mod. My TTR went up to 236bhp and a strong pull to the red line. Milltek Sport has brought an exciting new look to its existing performance exhaust range with the addition of the stylish GT100 trims. 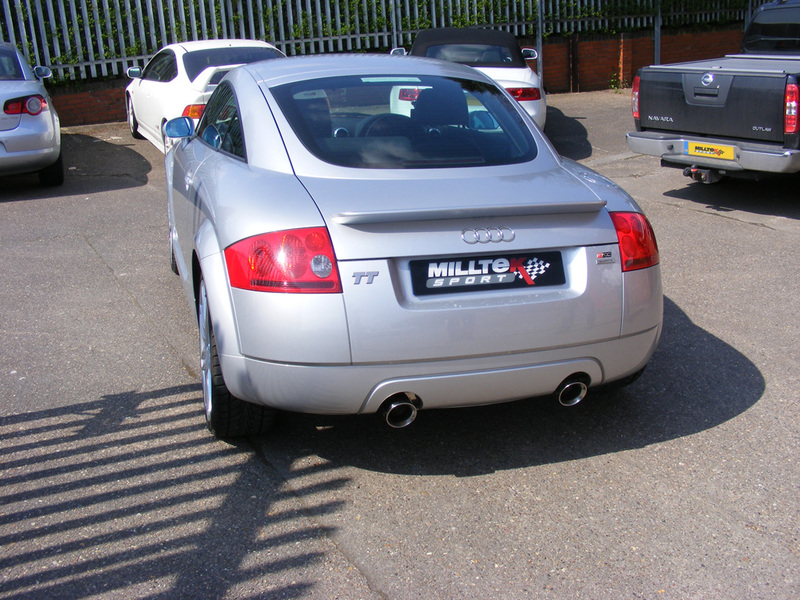 The new 100mm double-skin tailpipes give the rear of the car a much more purposeful look with a style that perfectly compliments the smooth swooping lines of the TT. "Now to the question about resonance inside the TTC with the non-resonated Milltek...what I did not want was the cyclical resonating that becomes dominant and booming...what the Milltek does is provide a sporty low resonance that lets you know what the engine is doing, pleasing to the ear and is not tiring in the long run. Yes...you notice the exhaust 'note' more than the OEM exhaust...I like that and as said before, it is what I think the TT exhaust should have been from the beginning. The Milltek non-resonated exhaust tunes the low throaty sound throughout the rpms and avoids the higher pitched 'whiney' sound of the OEM exhaust at the higher rpm. Now preaching to the choir...THIS IS a sports car...not an S model Mercedes." 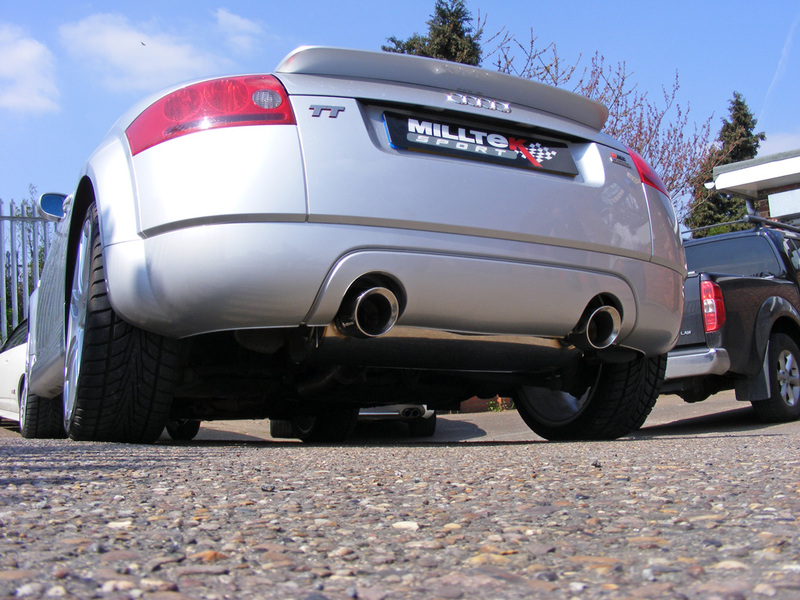 Milltek started producing a system for the TT back in 2000 when they were manufacturing them exclusively for some well known German tuners before finally launching their own Milltek version in 2002. A TT 1.8T quattro 225 Roadster in striking yellow paint and a blue roof joined the Milltek Fast Fleet as their first foray in TT ownership, they were so impressed that they've gone on to own a further three TT's since (although none in quite such 'vibrant' colours as the yellow original). 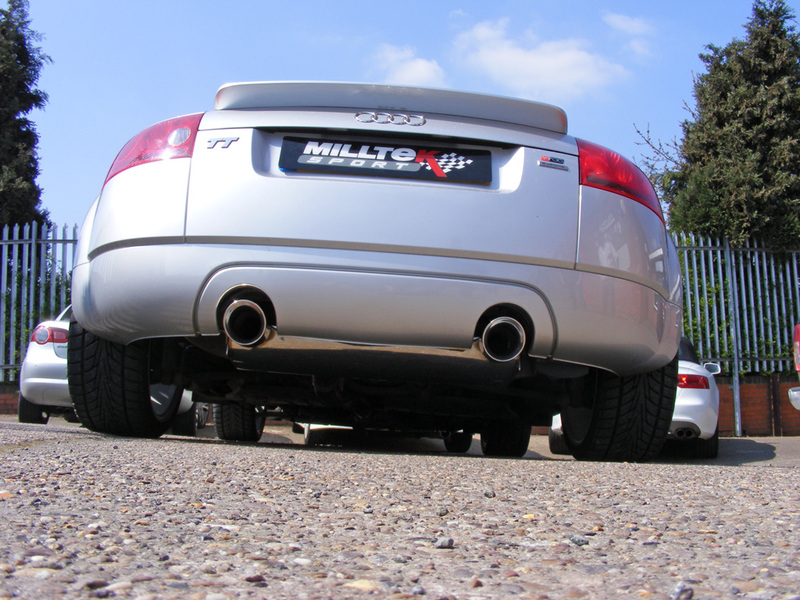 The Milltek exhaust has proved to be one of the best-selling upgrades for the Audi TT and can be seen fitted to thousands of TT's around the World.